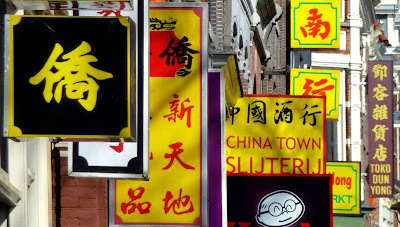 The term “Chinatown” or “Chinese buurt” is used in the Dutch language. 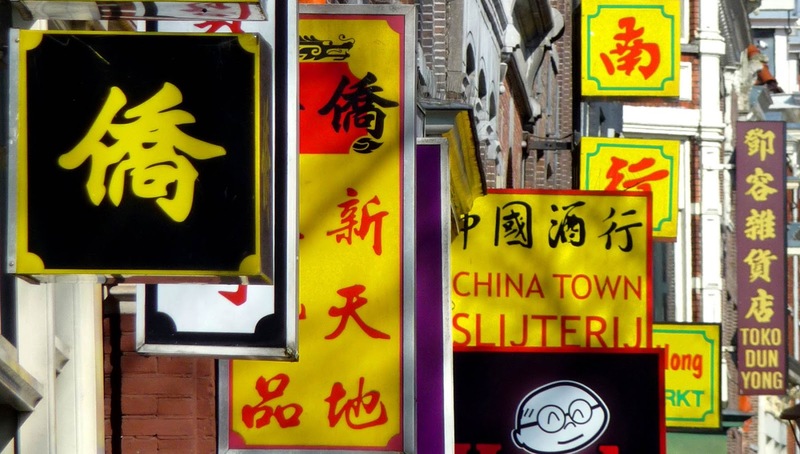 The largest Chinatown of the Netherlands is located near the famed De Wallen red light district of Amsterdam. 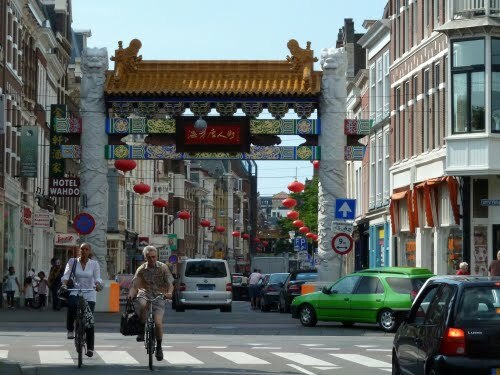 This Chinatown, located on the Zeedijk and the Geldersekade, was formed in the early 20th Century and revitalised in the 1980s. The street signs in this neighborhood are in Dutch and in Chinese. Amsterdam Chinatown also has the first and biggest Chinese-style buddhist temple in the Netherlands. It is named “Fo Guang Shan He Hua tempel”.